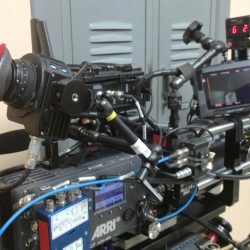 This Alexa Low Mode Bracket fastens to the top of the camera. It is 3/8″ thick lightweight plate so it can be left on the camera at all times. 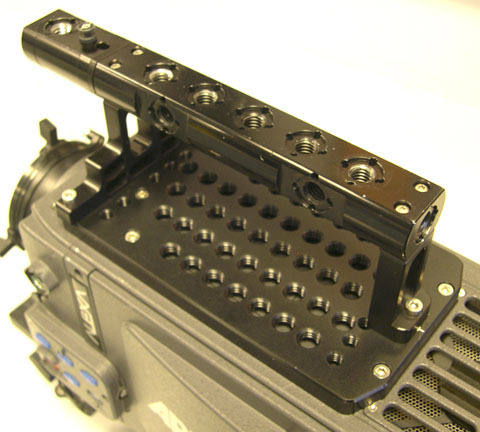 This Alexa Low Mode Bracket fastens to the top of the camera. It is 3/8″ thick lightweight plate so it can be left on the camera at all times. 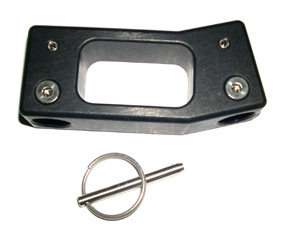 The stock Arri handle will mount to the plate with no modifications. It does not interfere with the viewfinder support block so you have the choice of leaving it on or removing it when you do go into low mode configuration. There are plenty of dovetail mounting holes, there are 5 rows of 3/8-16 tapped holes and two rows of ¼-20 to choose from. Mounting screws are captive. 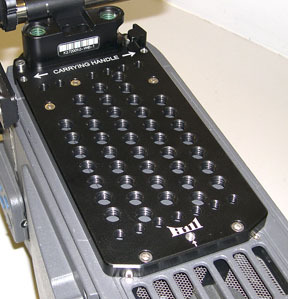 The plate is also great for mounting the camera onto 3-D rigs or for mounting accessories. Anodized Black.